Hog Island Camp was a wonderful experience. As a young birder, it is hard to find peers my age who are also interested in birds and birding. 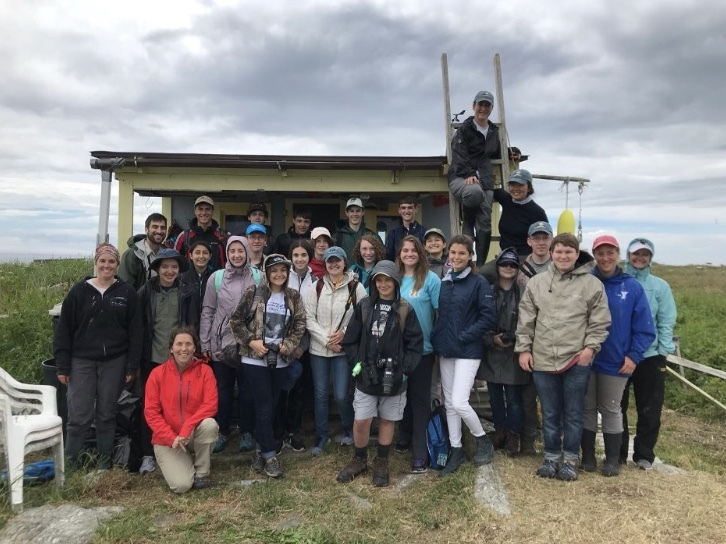 Hog Island allowed me to meet other youth interested in birds. The staff and instructors at camp were all knowledgeable, and always willing to engage in a conversation. However, the real highlight didn’t come until the last full day, when we embarked on our journey to Eastern Egg Rock. 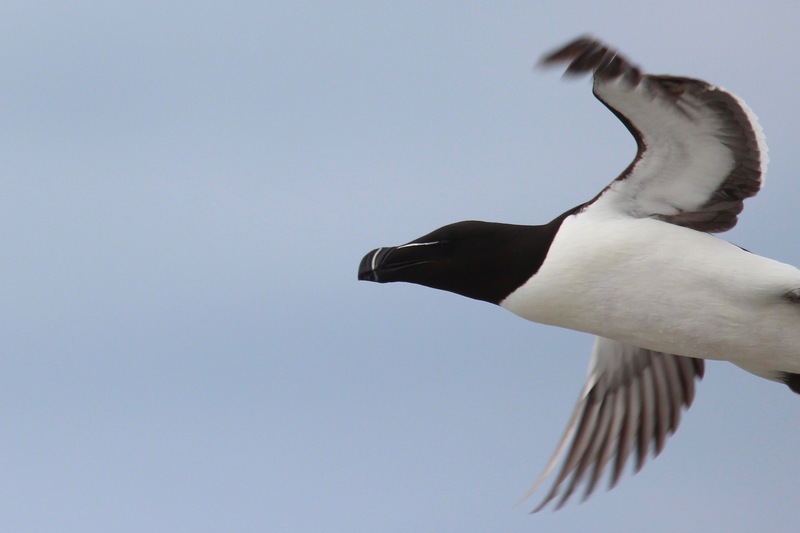 Way back in 1973, Stephen Kress created Project Puffin, which was started to help restore seabird colonies on Eastern Egg Rock, as well as other nearby islands in southern Maine. Puffins had not been spotted on the island since the late 1800s, but Project Puffin stepped in to help in 1973. 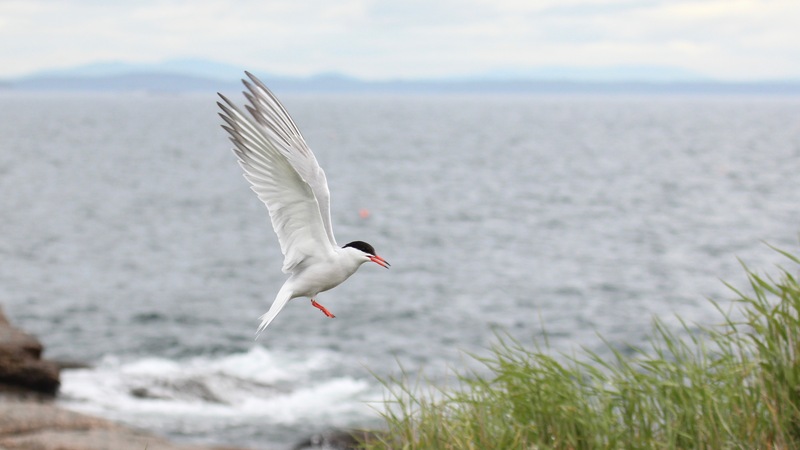 Atlantic Puffins were reintroduced from colonies in Newfoundland, and by playing puffin calls, and setting up puffin decoys on the island, biologists were able to bring puffins back to Eastern Egg Rock. 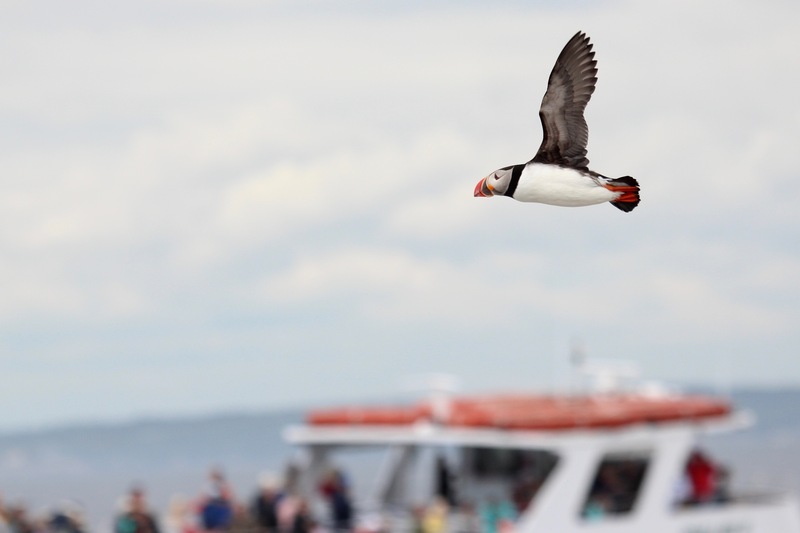 The boat ride out to Eastern Egg Rock went by fast, and it wasn’t long until the first shouts of “PUFFIN” echoed through the air. Soon enough we were seeing puffins everywhere, as well as tons of Black Guillemots, and even a few Razorbills. After circling a few times, we were able to land on the island, and meet the biologists who live there. They guided us through a maze of tern nests, with the angry tern parents attacking and diving at us as we made our way across the island. We soon settled into blinds, where we got to study nesting Roseate, Common and Arctic Terns at close range, as well as see more Atlantic Puffins, Black Guillemots, and a Razorbill that continually flew back and fourth in front of our blind, looking for somewhere to land. To end it all, one of the biologists held a Leach’s Storm-Petrel, and allowed each of us campers to smell it. Overall, visiting the seabird colony on Eastern Egg Rock was a truly incredible experience that I will be forever grateful for. A huge thanks to the Central Valley Bird Club for giving me this opportunity, without the help from this club I probably wouldn’t have been able to attend camp.